Les Dougherty grew up wanting to be either a carpenter or a farmer. His first job out of High School was in a plywood mill, and since then he has spent 30 years as a carpenter and building contractor. He ran a successful construction company, building over 20 high-end homes on the west coast in one year. Now Les is a gentleman tree farmer. 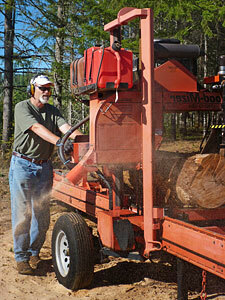 He's happiest outside with the portable sawmill, or turning a bowl on the lathe. 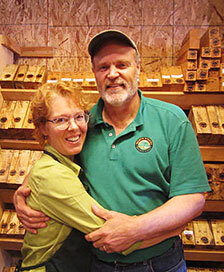 Susan Curington is the third-generation steward of this particular forest in Oregon, and her ‘family tree’ for several generations has worked in the forests of Alaska, Oregon, Washington and Northern California. Susan’s whole childhood was spent catching every available moment in the woods. Her early experiences gave her a naturalist’s outlook for detail and deep love and respect for the power of ecosystems and biodiversity. Susan’s grandmother first discovered this particular slice of heaven, and moved to the 80-acre property near the end of the great depression with little more than a milk cow. Susan’s father, after serving in the military, moved back to the adjacent land and spent the rest of his life tending the trees, and planted several hundred more in what had been a cattle pasture. Susan inherited the property in 1998 and worked to quickly achieve national “Certified Sustainable” status, including a conservative sustainable harvest and wildlife conservation plan. When the economy turned and the construction industry stalled in 2008, Les and Susan were faced with extensive logging in order to save the farm. 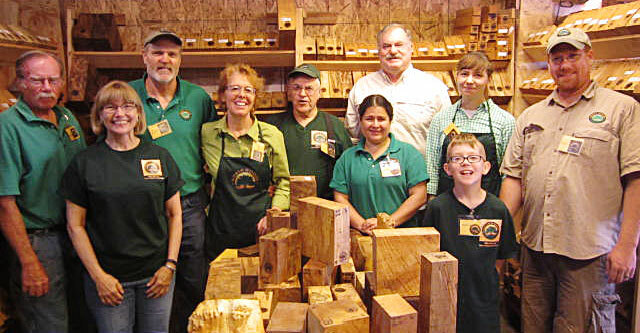 They rescued all of the figured maple from being sent off to become chip wood and newsprint. Since then, the vacant areas have been replanted with fir and cedar seedlings, which are growing quickly. North Woods is in northwestern Oregon, just east of the famous Tillamook forest in the Trask watershed. We have found some charred stumps from a fire in the mid 1900’s which stopped just short of the property boundary, but close enough to force evacuation. Some of the old stumps have foothold chops from the cross cut saw days. There’s also a layer of ash under the moss from the 1980 Mt. St Helen’s eruption. Our trees grow in predominantly red clay soil, with plenty of rain. North Woods is comprised of Douglas Fir, Big Leaf Maple, Western Red Cedar, White Fir, Madronne, Hemlock, Alder, and some Ash. The understory is Oregon Grape, Huckleberry, Salal, Poison Oak, Vine leaf Maple, and all variety of wildflowers.